I was going to write about something serious this week — but I know your heads are already filled with looming December deadlines and a running list of need-to-buy gifts for family, friends, colleagues, (and yourself!). So I decided to keep it light and fun this week by simply sharing some of my favorite things I’ve been using, buying, reading or recommending lately. I know you’ll love them too! And remember, my friends, sometimes the best gift you can give yourself this holiday season is time and space. May you all enjoy a little break as 2018 moves in to 2019 and maybe treat yourself to a gift while you’re at it too! Verdict: I loved this book. I tore threw Becoming by Michelle Obama in just 7 days and wish it were longer than its 426 pages. No wonder it’s already the top selling book of 2018. It’s the perfect read to curl up with during the holidays — and also reflect on your own memories of the historic Obama Presidency. My family has always said, you can never have too many books! So scoop yours up here on Amazon or head out and support your local bookstore. You know I always say, “have a crush on your water bottle!” and you’ll drink more H2O, promise. So, why not pick up a bottle from my new fave company Healthy Human — these are also great gifts or stocking stuffers 🎄🎅🏼 ❄️. I’m also loving their 20oz cruiser tumbler for my morning coffee. It stays hot while I sip for 2-3 hours! Use code FVISTA10 for 10% off at the Healthy Human website or on Amazon.com. I’m a big fan of Sarah Marie Design Studio’s quirky running gear. 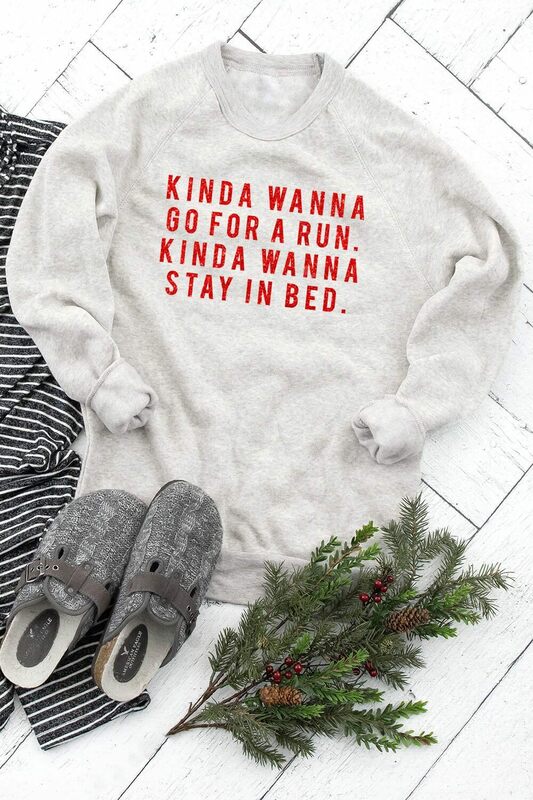 I own one of their LIFE IS SHORT, RUN FAST sweatshirts and I can attest — it’s the highest quality and it’s the first thing I reach for when I want to be cozy. Plus, inspiration to go for a run is always a plus! They’re having a great 12-Days of Christmas Sale here, with tons of discount codes. So go support this woman-owned business and the runner in your life! 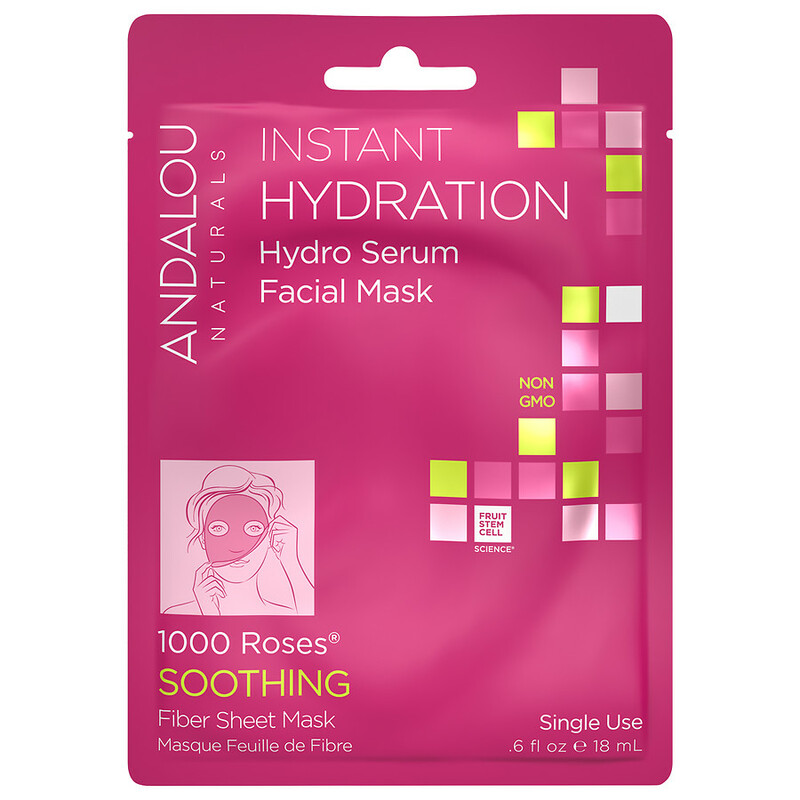 I can never get enough of these Andalou Naturals Facial Mask Sheets. Quite simply, they work! My skin is super sensitive, so I love the soothing 1000 Roses line is designed to calm irritation, and that I can get the glow of a facial, for just $4.99. The link always changes over on Amazon, so you might have to search around a bit. These face sheets sell out fast! PS: You can also typically find them at Whole Foods and they would make stellar stocking stuffers (hint, hint, Santa). I had to throw in a shameless plug for my own book, right? Self-Care in the City makes a great gift for your friends, cousins, or business colleagues who live in any big city, are already a health nut, or wish they were. Recent reviews say the book is hilarious, entertaining and a page-turner. I’ll take it! 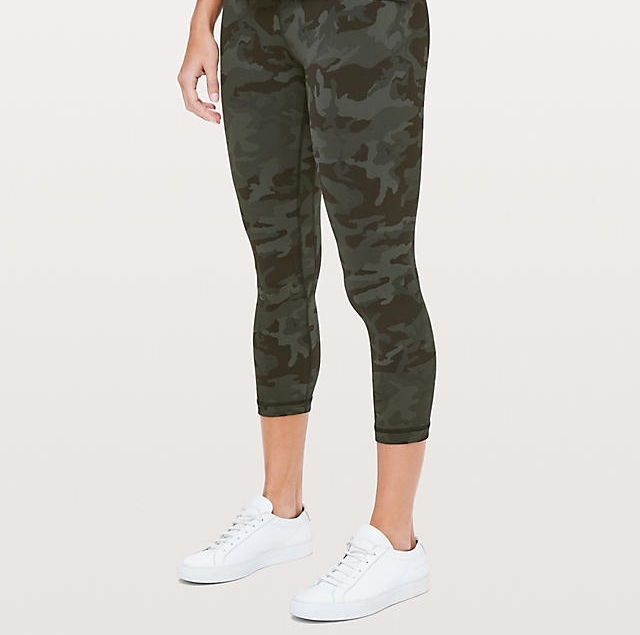 I’m pretty picky about my spandex and these Lululemon Align Crop Leggings check all the boxes — they’re high-waisted, buttery soft against the skin and super flattering. I own three pairs in black and reach for them multiple times a week. I recently picked up this green camo version and it’s safe to say, they’ll also become a weekly favorite. You guys know by know that I LOVE my green smoothies. Here are a few recipes for you to try out: my go-to green smoothie, veggies to sneak in your smoothies, and the top 10 reasons why I love my Nutribullet. My first Nutribullet cost me a good $110, but now they’re still selling on Amazon’s Black Friday deal for just $49. Be the hero of this Christmas season and scoop some up as gifts for your friends and family. Everyone I’ve suggested purchasing this speedy blender falls in love with the easy-to-clean, simple-to-use design and the fact that it doesn’t take up much counter space in tiny kitchens! Sure, you may think it’s a cult, and I did too, but now I’m hooked! 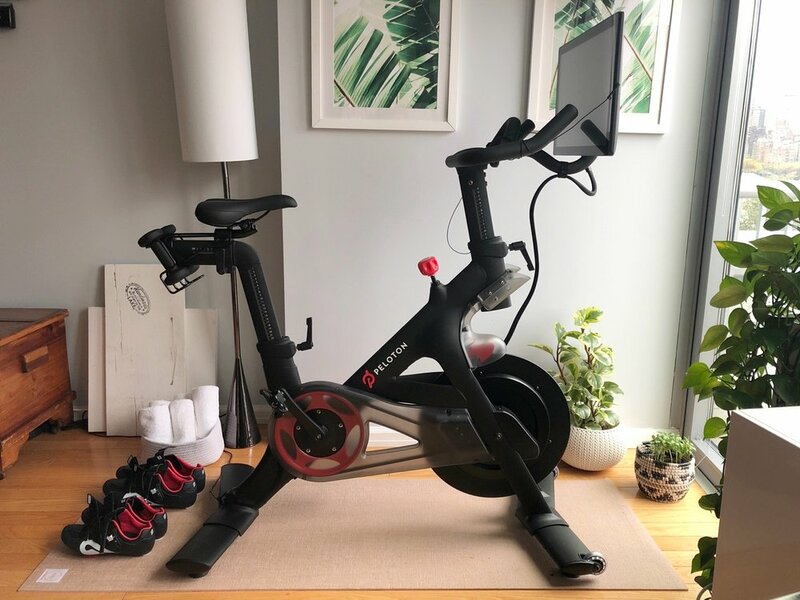 I’m currently writing a blog post about my First 3 Months of Peloton and why I love this bike, but long story short — the Peloton bike is ideal for people who are crunched for time, love the thrill of cardio and killer music, and want to keep up or improve their fitness, happiness, health and even lose some pounds as a happy side benefit. Did you know that Amazon Prime now offers magazine subscriptions? 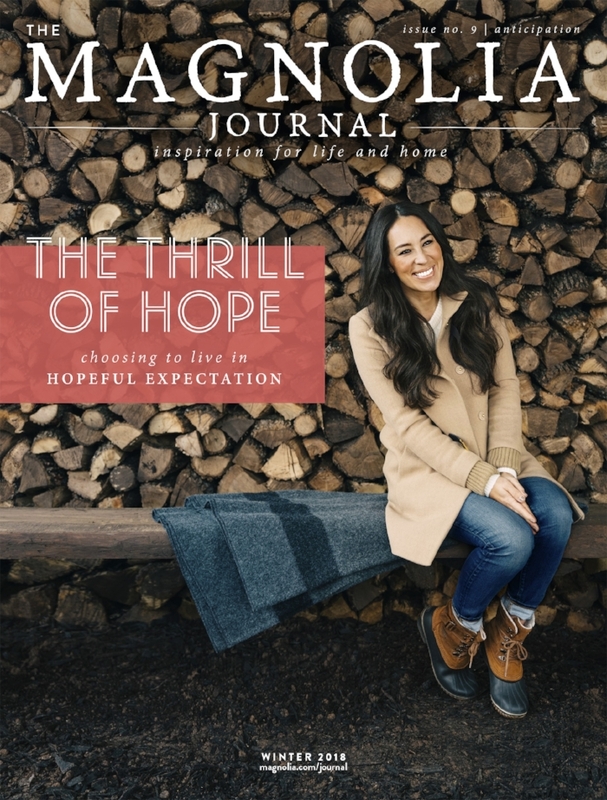 Yup, I’m about to test it out, and I’m psyched I can easily manage never missing a copy of Magnolia Journal in 2019. Also, Joanna Gaines, I want those boots. If anyone reading this knows which brand they are, email me, ASAP! I met the female owner, Andréa, of AVM Casa at a craft fair years ago. Since then, I’ve been a big fan of her hand-poured, handmade in New York, soy candles — they have a beautiful slow burn, simple & classy labeling, and are scented with natural oils that don’t disrupt your hormones like other fragrant candles do. For all this goodness, you’ll still just pay less than some of the department store “name brand candles,” but without the questionable ingredients. I’m a fan of every size AVM Casa candle, from the 2.5oz to the 20oz. So stock up! Want to score free shipping? Here’s my code FR2SHIP1 that Andréa graciously said I could share with you all.